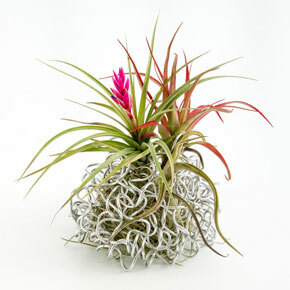 Designed exclusively for Spring Hill, this lightweight, pliable Aluminum Orb makes the perfect tabletop choice for air plants such as Tillandsia. The orb's industrial look and feel contrasts beautifully with the soft, wispy qualities of these amazing soil-free plants. 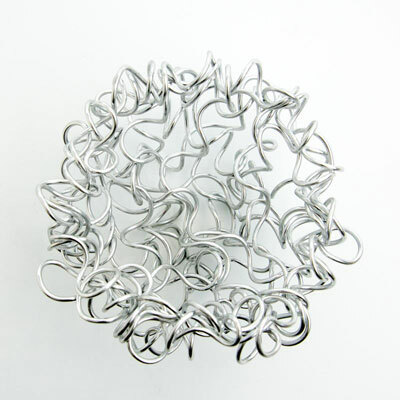 Strong yet flexible, it stretches to fit any size plant and looks fantastic on a desk, in a reception area or as a centerpiece. Can also be used as a unique pen holder. Made of 100% aluminum coil, it offers a lifetime of enjoyment with proper care. Made in the USA. 3"H x4"W x 4"D. Weighs 2 oz.